You haven’t really made it until your face is on a stamp. Now’s the time to give your table tennis fan mail that little something it was missing. China is celebrating their Rio Olympic gold medalists by immortalising their sporting heroes on postage stamps. 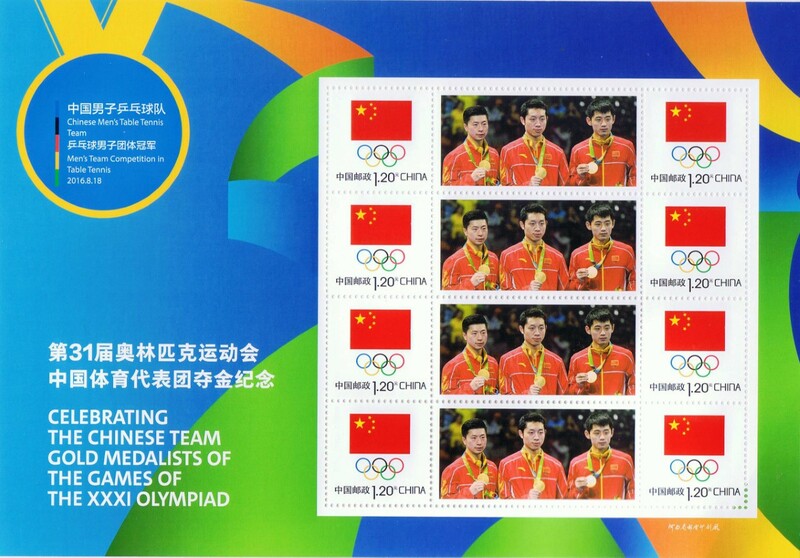 Ma Long, Ding Ning, and both the men’s and women’s national teams will be featurd on four collectable stamps. Table tennis is no stranger to envelops. The Mozart of table tennis, Jan Ove Waldner, was celebrated in both China and Sweden in 2013 when he and his serve were featured on a postage stamp. The stamps will be around for a limited time only. So if you don’t live in China, now’s the time to go old school and find a pen pal so you don’t miss out on the collection. In Great Britain the Queen appears on stamps. In China, it’s table tennis champions.